Three health care workers accused of ignoring a Uniondale nursing home patient’s ventilator alarm for more than nine minutes and negligently causing her death either suffered from “alarm fatigue” or there was an alarm malfunction, defense attorneys suggested Monday. Lawyers on both sides gave opening statements to the jury in Nassau County Court in the trial of two registered nurses and a certified nurse aide who are charged with felonies in the December 2015 death of an 81-year-old resident of publicly financed A. Holly Patterson Extended Care Facility. Authorities have alleged the wheelchair-bound patient became disconnected from the ventilator she needed to breathe, triggering visible and audible alarms that notified nursing staff the woman’s life was in jeopardy. 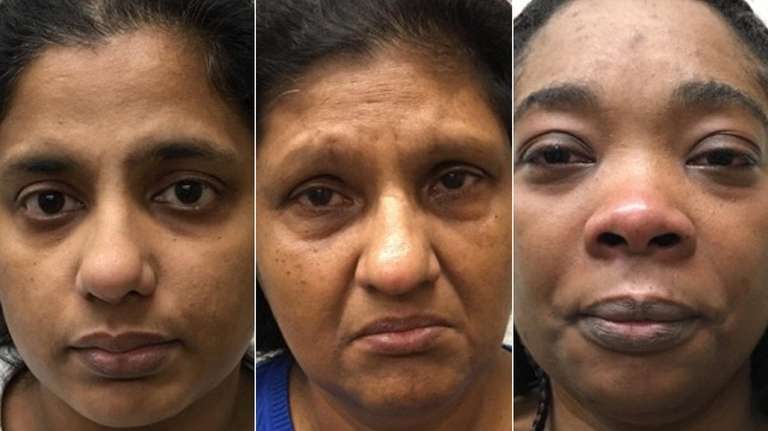 Authorities identified the defendants at the time of their 2016 arrests as registered nurse Sijimole Reji, 42, of Smithtown; registered nurse Annieamma Augustine, 57, of West Hempstead; and certified nurse aide Martine Morland, 41, of Freeport. The charges against the trio include the felony offenses of endangering the welfare of a vulnerable elderly person, criminally negligent homicide and falsifying business records. Special Assistant Attorney General Peter Zadek told jurors Monday that the three health care workers were “engaged in casual conversation” at a nursing station less than 40 feet away as victim Carmela Contrera was suffocating. “The alarms in this case, they did their job,” he said. 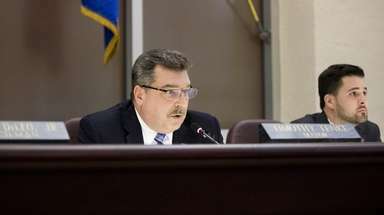 The prosecutor said Contrera only got help after another employee who was reporting to work early for the next shift arrived and alerted staff to the situation. Zadek said the defendants' negligence caused the woman's death a day later at Nassau University Medical Center, adding that the defendants were less than 20 minutes away from the end of their overnight shifts when the alarms went off. But Steven Christiansen, the attorney for Augustine, told jurors that emergency room doctors gave Contrera’s immediate cause of death as septic shock and that the nursing home resident had suffered from extensive health problems. Apparently raising the question of whether the alarms were working properly, Christiansen said “it doesn’t make sense” that three dedicated, competent health care workers so near to a patient needing help would ignore an alarm. The defense attorney also told jurors that three other staffers who were working in the same area also didn’t see or hear any alarms. Christiansen also suggested to jurors that “alarm fatigue” — in which he said a medical staffer no longer consciously hears an alarm due in part to the number of false alarms — may have played a role in what he called a tragedy. Attorney Michael Franzese, who represents Reji, said facility administrators in the aftermath “made the investigation go in a certain direction,” so that the defendants would be facing charges. The trial continues Tuesday in Mineola.